Submitted by Migrate Wizard on 2016-04-13 09:45. 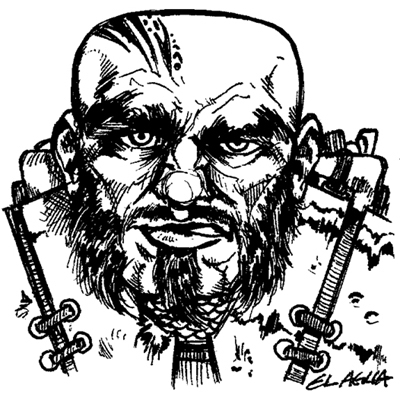 Dwarven Adventurer sketch from my 'Post-it Note' series. In other words, the materials used are a Highland series Post-it note and a Sarasa brand navy blue .07 gel pen. :-) Drawn during a short break at work.